These Kork-Ease boots were most definitely made for walking. They are incredibly comfortable and have the perfect heel height. They were the perfect addition to my shoe collection and right in time for the arrival of fall. Next investment? This other pair - you know, for more dressy occasions - and they are equally as comfortable. Plus, I love that they are on sale! 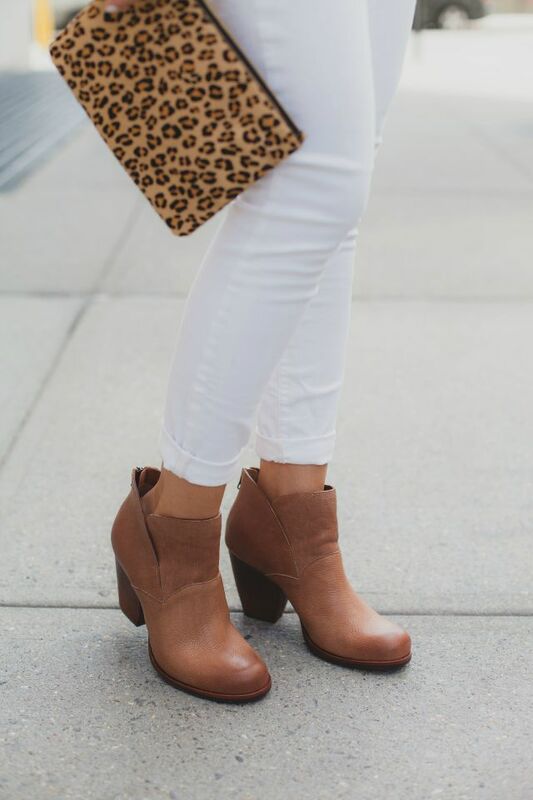 I adore these…and especially like that they can be worn across the seasons. Ohhh I love your top! 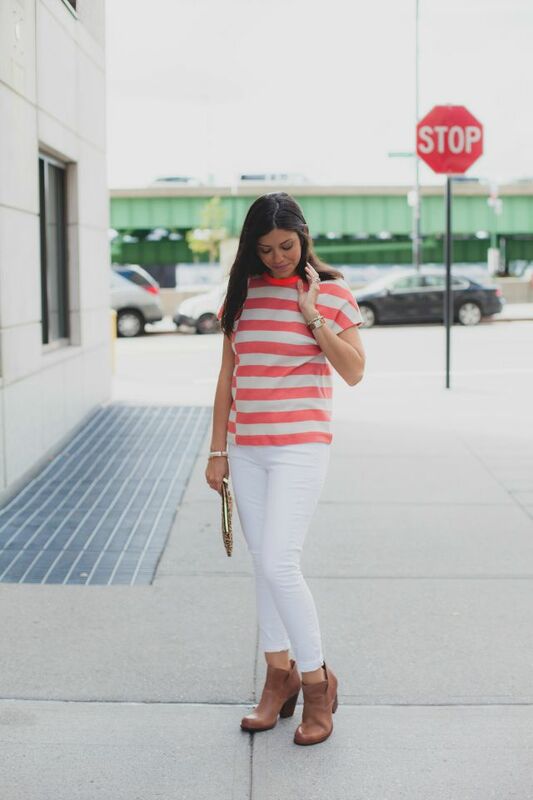 I have a small obsession with stripes, so that is probably why..but I love how the stripes switch to add interest. Great outfit as a whole! 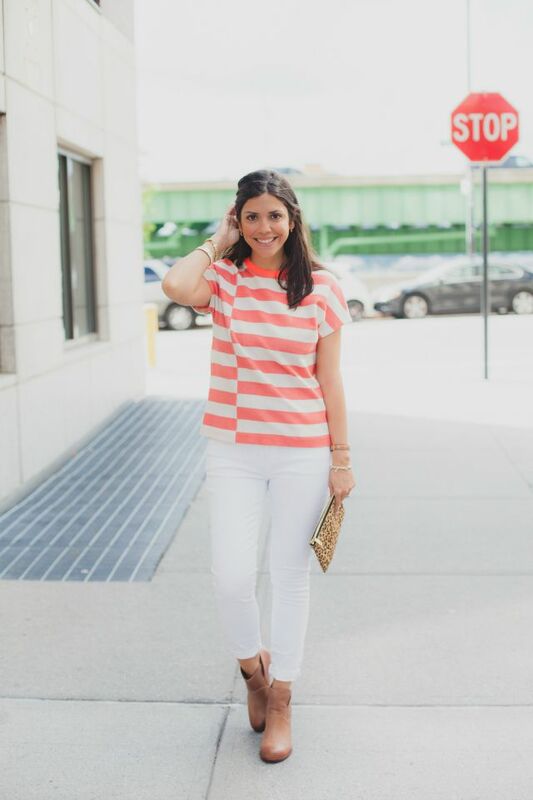 such a lovely summer-to-fall transitional look! Those boots are great!